Recognise this fabric? It's the one I chose from the Hemingway Designs collection, which Tracey from Trixie Lixie very kindly sent me to try out last year. I always knew I wanted to use the fabric for a summer dress, hence the delay. Well, summer's on its way and I'm ready and waiting with my new sundress! 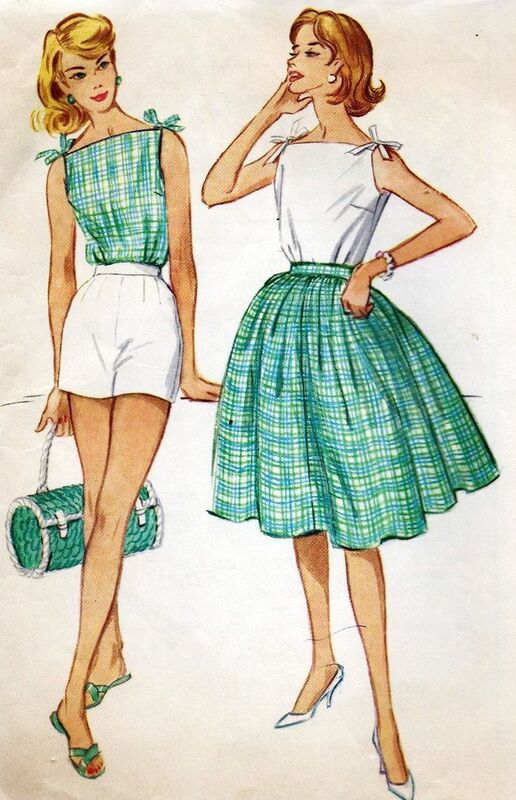 Initially, I was going to make a shirt dress, but after seeing this pattern illustration with a similar turquoise print, I decided to make a fifties-inspired sundress with shoulder ties. I also wanted to add a bit of white somewhere as I love how the two colours look together. To draft the bodice I used my bodice block as a starting point, together with the instructions from Casey's tutorial for a 1950's sundress (part one and part two). The tutorial worked fine for me, but if you are thinking of using it, I'd recommend reading both parts before you start. It isn't until part two that Casey advises you to use a sleeveless bodice block to make the sundress. A bodice block or pattern that's originally drafted with a sleeve (as mine is) will have more curve around the armhole. Luckily, I made a muslin first and eventually worked out why my armholes were so baggy! Take my word for it, the neckline does lie flat when I don't have my hands on my hips! I deviated slightly from the tutorial in a couple of areas. I lowered the neckline to slightly dip in the middle - the original straight-across design does look authentically 1950's, but it was cutting into my neck at exactly the wrong place. I also swapped the gathered skirt in the tutorial for an A-line skirt (I used the pattern from the Colette Peony dress). I reduced the A-line shape by about 1.5" at each side and added pleats rather than gathers at the top (as I did with my gingham Peony dress). The result is not as eye catching as a full, gathered skirt, but I made the dress with holidays in mind, so the less skirt to contend with, the better! The fabric is a lovely quality, medium-weight cotton, which is a good match for a semi-structured dress as it's nice and crisp. The one I chose is Duck Egg Grid, which has now sold out unfortunately, but if you like the distinctive grid design, it does feature in the newest Hemingway Designs collection in some lovely pastel colours. I didn't even attempt to pattern match the grid design as it's so busy, but actually, when you look closely, the pattern is separated into grids by dividing white lines. By absolute FLUKE, the gridlines on the bodice and skirt match up perfectly, with no help from me whatsoever. What are the chances eh?! Matching gridline! It's the same on the other side of the bodice too. Making this dress wasn't without its trials and I did struggle a bit trying to draft the bodice. I always feel slightly out of my depth when it comes to drafting anything myself, I much prefer the safety net of ready drafted pattern pieces. I got there in the end though and the result is just what I was hoping for - a pretty, practical sundress with a bit of a nod to 1950's styles. I like the fact that simply adding white bias binding around the armholes results in a pair of splendid shoulder ties, such a lovely detail! For some reason, I seemed to think that putting my hair in a pony tail and leaning ridiculously forward would show off the shoulder detail. Er no! I've included the photo anyway because it makes me laugh. EDIT: If you like the shoulder tie bodice, but don't fancy drafting your own, Maison Fleur have just released their Summer Blouse pattern which has a similar detail. Might be worth checking out. Today there are three reasons to be cheerful. 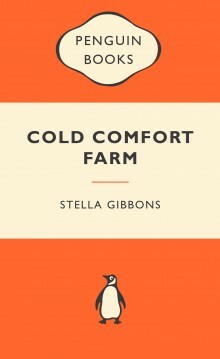 First, I've started re-reading Cold Comfort Farm by Stella Gibbons - I'd forgotten what an absolute delight it is. "Mrs Smiling's second interest was her collection of brassieres, and her search for a perfect one. She was reputed to have the largest and finest collection of these garments in the world. It was hoped that on her death it would be left to the nation." Which seems particularly apt in light of my last post! Second, this month's issue of Love Sewing is out, complete with a baby blanket project written by yours truly!! Look! My name in print!! Yippee! Third, it's St George's Day here in the UK which means get the bunting out, it's my birthday! Triple hoorah! 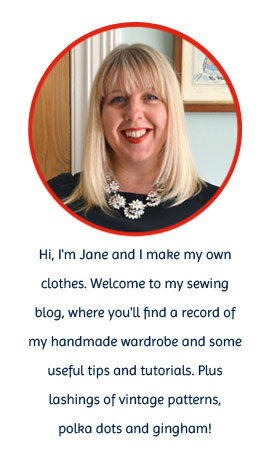 Jeans and bras: will I ever make my own? Let's start with jeans. The trouble with jeans is that I've found my ideal RTW pair and I very much doubt I could get a better fit by making my own. As long as they keep making them, I'll keep stockpiling buying them. If I were to make my own, I would definitely use the Ginger pattern which I already have in my stash. 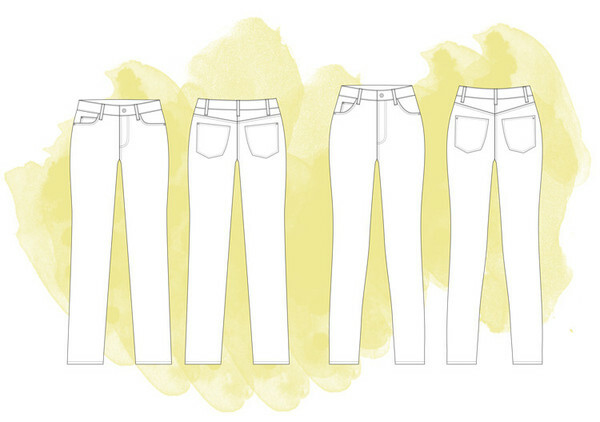 The high waisted version B is the exact same shape as my trusted RTW jeans and virtually every single pair I've seen on other blogs seems to be a great fit. What about making my own bras? Well that's an easy one. No. Way. Ever. The reason? Well, even after a recent trip to the bra bank (yes, such things actually do exist), to deposit 12 unwanted bras, I still own over 30 bras. What can I say? I love buying bras and can't seem to stop doing it! My epiphany came about 10 years ago when I discovered Bravissimo (no, I have no link with them, though I'd make a mighty fine ambassador if they ever came knocking!) 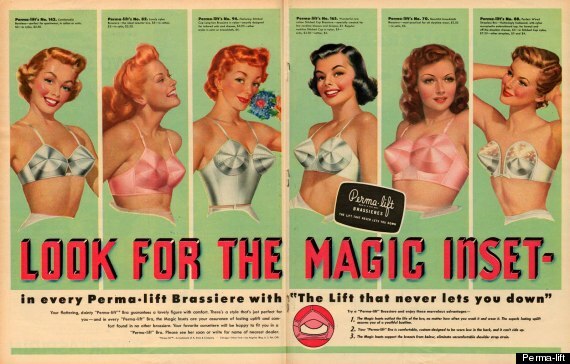 Once I was accurately measured, every bra I've bought from there has been a great fit. I can understand why people would have a go at bra making if they've never managed to track down one that fits properly, but in my case, why would I ever want to make my own? I might be able to save a bit of money on materials - although I'm sure all the paraphernalia soon adds up - but I wouldn't be able to achieve the same level of comfort and fit. Bra making looks finicky and precise and my lack of patience would be a definite obstacle. I'd also be terrified of the entire thing falling apart whilst I was wearing it. Can you imagine the horror?! In short, I think I can state categorically, I will never make my own bra! I made this Lady Skater dress at Christmas, but totally forgot to blog about it until I saw Jenny's gorgeous top made from the same fabric recently. As it happens, the timing is pretty fortuitous, as it's much more of a spring dress than a winter one. The fabric I used is the most beautiful double-layered, polka dot double knit (try saying that when you've had a few!) It's from Etsy shop Miss Matatabi. The two layers are fused together at regular intervals like double gauze and it does actually feel a bit like a knit version of double gauze: very soft to the touch and super cosy. I must point out that Miss Matatabi is the most dangerous fabric shop in the world! I clicked over there just now to get a link for the fabric and saw this - an Aran-look knit fabric!! How could I possibly resist?! Answer: I couldn't, so that will be winging its way over to me from Japan soon. I was happy with the fit of my first version, but actually the changes I made this time have resulted in a much better fit all round. I'm especially pleased with the shoulders as they were definitely a bit wide. Reducing the curve of the skirt has made it more of a quarter circle than a half circle which I also prefer. It was super easy to construct - I sewed the whole thing on my overlocker and used a double needle for the neck and sleeve bands and the hem. The fabric is reversible so I felt obliged to try and show off the contrast somewhere on the dress. I went with contrasting neckband and sleeve bands. But… with hindsight, I wish I hadn't made the neckband contrasting as it does give a bit of a juvenile feel. It's annoying, but not enough to make me stop wearing it! When I say T shirt. I mean something that's very wearable and classic in style, with the added bonus that you can just pull it on over your head. I didn't want to make it from traditional T shirt fabric either, I wanted to step it up a notch, so this little number is made from Liberty Tana lawn. After a great deal of head scratching and pretending I knew what I was doing (I really didn't), I came up with a basic tee shape that I was happy with. Sadly, I can't give you the magical formula of how it was drafted as it's mostly a mash-up of my bodice block and the Colette Laurel top, with a bit of Simplicity 2154 thrown in for good measure. There are no zips or buttons (hoorah) so it does indeed slip on over your head like a T shirt, but there are also six darts added to give it a bit of shape. Once I'd stopped fiddling about with the pattern pieces, this was a very quick make. The hem and sleeves are simply overlocked and hemmed and the neckline is finished with bias binding (as per the Laurel top instructions). I bought the fabric during a Liberty shopping trip with Scruffy Badger (Winnie), last summer. We both decided to make Laurel tops from our Liberty lawn (you can see Winnie's here), but she was a bit quicker off the mark than me - nearly a year quicker as it happens! Anyway, after my recent Liberty giveaway I had a mad urge to make something from a Liberty print so out it came. It's only a one metre remnant, but I was still able to get a top with sleeves out of it by folding the selvedges into the centre before cutting. The fabric design shows circles of black and cream flowers with some sort of polka dot action going on in the background. It's a very busy design which comes in handy for hiding all those darts, even I have to look carefully to find them! Wow! 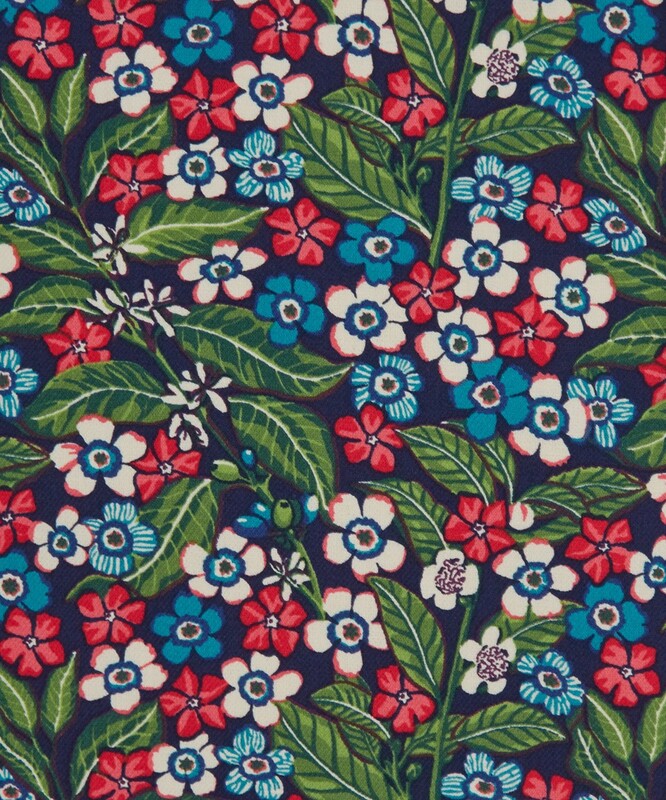 Thank you all so much for your enthusiasm for my Liberty fabric giveaway. It was the most popular giveaway yet, with over 300 entries! Sadly, there can only be one winner and this time round it's…..Nicola Ashman, who wins a metre of Liberty fabric from Sewbox. Congratulations Nicola, an email will be on its way to you shortly. Thank you to everybody who entered and BIG thanks to Susan at Sewbox for such a generous giveaway. 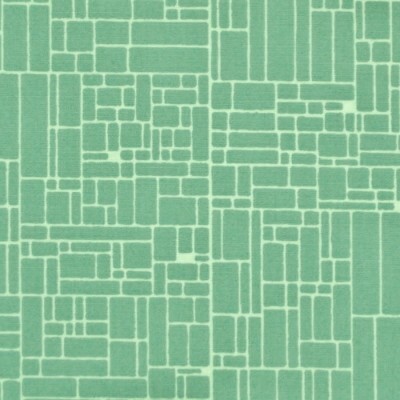 Seeing all those beautiful Liberty fabrics has inspired me to dig out some Tana lawn from my own stash. Hopefully I'll have something to show off soon…. Thanks also for your get well messages, they were much appreciated. I've definitely turned a corner but still sound exactly like Marge Simpson! Easter holidays + a horrible stinking cold = lots of lying around on the sofa feeling sorry for myself. There hasn't been much dressmaking going on I'm afraid, but I did manage to get on with a few crafty makes for a recent Rosy Rosie order. Wanna see what I made? Lined, zipped purses. They always looks neat and professional and are a good way of using up scraps of fabric. I use this tutorial to make them and would highly recommend it - it's clear, to the point and gives great results. Tooth Fairy Cushions. These were one of my best selling lines when I sold at craft fairs. Adding the pockets is a bit fiddly, but the final cute factor soon outweighs everything else! This little batch was made with girls in mind. Drawstring bag and wash bag sets. I've made lots of these recently! The wash bag is made using my own tutorial. The larger drawstring bag uses exactly the same principle but is scaled up in size (about 18" wide by 20" long). I also add a solid coloured cotton for the inside layer rather than waterproof fabric. If you like the fabrics then you can still find the owl print here (only a tiny amount of green left, but there's still some in a brown colourway) and the fox fabric in a couple of different colours here. I also like this bonkers cow print poplin. It's nice quality and as well as being perfect for washbags, would make a fab blouse or dress if you're brave enough!